Ellen Desmond investigates the motives and implications of a controversial motion passed at this semester’s second UCC Student Council meeting. On Wednesday the 29th of October last, the UCC Student Council passed a motion to “wipe the slate clean” of all mandates. In sum, this has resulted in everything passed by Student Council over the past five years to now be redundant. The motion was put forward by UCC Students’ Union Education Officer, Joe Kennedy, but proposed on the night by Council Chair, Aidan Coffey. Coffey temporarily resigned as Council Chair in order to propose the “Clean Slate” (due to the absence of the Education Officer on the night). Interestingly, it was pointed out that though it was agreed upon at the first Student Council meeting this year, no policy booklet was presented by the current members at the meeting in question, either. Considerable backlash ensued from the student body once the mandate was put in place, despite it being passed by a lofty majority of 65 to 23 votes on the night. 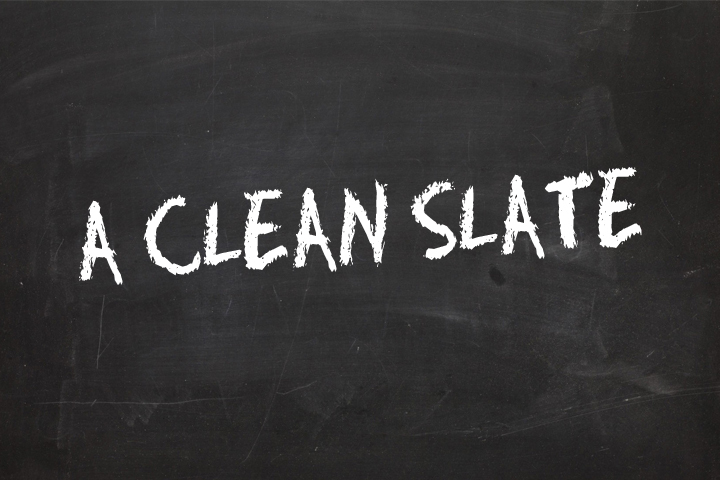 UCC Labour and LGBT* Societies were confident and public in their opposition to the ‘Clean Slate’ and both issued public statements and press releases expressing their concern about the implications of this motion and the motives behind it. On top of this, it was brought to light by Jerome Wholihane and James Upton, at the Council meeting, that there is an online Google Drive Folder in existence which is accessible to the current SU, and it details much of what has been passed by both last year’s SU and the years before. The folder in question appears to have been shared by previous UCCSU Deputy President, Annie Hoey. It’s also important to note that many of this year’s current Students’ Union, including the Education Officer and Welfare Officer, would have sat on last year’s Student Council – and so would have received the circulated emails of which Hoey spoke. This implies that, aside from the shared SU Google Drive Folder, they elsewhere had details of last year’s minutes and mandates. As a result of Hoey’s claims, one of the biggest criticisms of the Clean Slate has been that with such clear information available from last year, and much from previous years, it was surely unnecessary to wipe the entire last five years of work right under the carpet. One issue that is clearly a predominant concern among students is that of the position of the UCCSU Equality Officer and Equality Working Group – however, both the officer and related group appear to be protected by the UCC Students’ Union Constitution. Looking at the UCCSU Constitution it can undeniably be confirmed that the Equality Officer’s existence is protected. The “status” (as put in the SU statement) of other officers is also protected but it appears that their roles do now remain loosely defined – perhaps ironic, considering this motion’s apparent intent was to clear things up and improve the “day to day” running of the actions of the SU. Admittedly, it should be taken into account that there is yet time for the Student Council to add new (or re-add old) mandates that further define duties of the officers but if that was ever fully necessary in the first place is still unclear to outsiders. Amidst the backlash, an anonymous source, who sat on last year’s Student Council, advised Motley that it was time for people to question “if there was something in there that they did not wish to act upon” and perhaps this is something that should be pressed further. However, from speaking with members of Council in favour of this motion, it does appear that they have not outwardly intended it to come from a malicious place but whether the decision was a good one or not has little do with ulterior motives, and more to do with the impact on UCC and the running of the Students’ Union that will occur regardless of intent. Another criticism of the motion was lack of pre-publicity. Though The UCC Express did run a news article about the motion, which was printed on the 28th of October, it was clear that this did not open enough discussion or in a timely enough manner to satisfy the majority of students. The lack of open public forum for discussion had many worried, and many more still did not hear of the existence of such a motion until after it had been passed. The problem, however, was that the general student body outside of Council was largely unware of the proposal. “I think that any issue that can achieve this level of destruction without being publicised to the student body is a disgrace,” said Labour’s O’ Driscoll, “and I think that these kind of decisions should be voted on in referendums in the future.” That something so unusual and substantial was so easily left up to such a small body of representatives to decide upon certainly has given students cause for concern. “This is part of a broader move to improve Student Council,” explained Coffey, “This is a good thing.” Yet, as it stands, it cannot be denied that if records ever really were “inadequate” without any at all we are more or less in the same place as we were before.